It's a policy you might assume would end very quickly - with Mr Guanlao having no books at all. On the day we visited, some shop assistants came to browse during their lunch break, a local man borrowed a weighty tome about the history of St John's Gospel, and some school children picked up some textbooks - although I noticed they'd were taking some fashion magazines as well. He's also started to set his sights outside Manila. 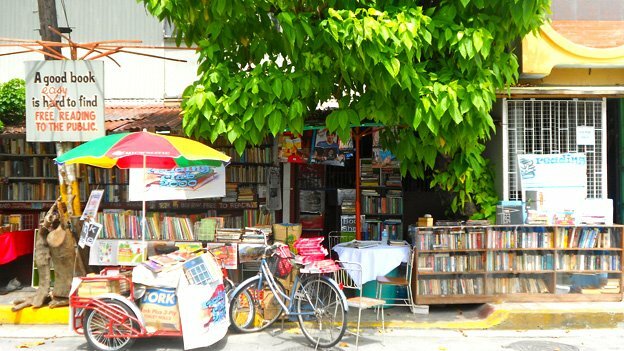 He's already given several boxes of books to a man trying to set up a similar venture in Bicol province, a 10-hour drive from Manila, and his latest plan is to help a friend who wants to start up a library in the far south of the country. She wants to set up a "book boat", travelling around the islands of Sulu and Basilan - an area better known as a hideout for separatist rebels than for any great access to literature. 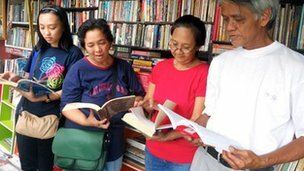 As we sat outside Nanie Guanlao's house in the midday sun, watching people browse through his collection, he tells me why he thought it was worth spending all his time - even to the point of giving up his job and surviving purely on his savings - to maintain the library. "You don't do justice to these books if you put them in a cabinet or a box," he says. 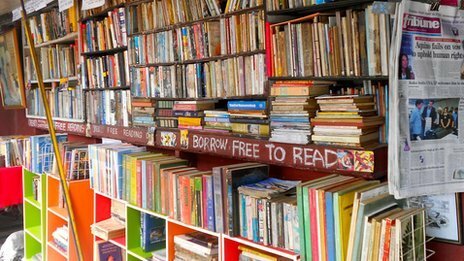 "A book should be used and reused. It has life, it has a message. "As a book caretaker, you become a full man." 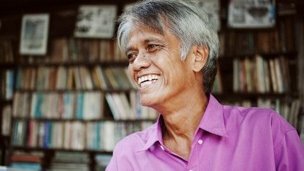 Nanie Guanlao's story was featured on the BBC World Service programme Outlook.